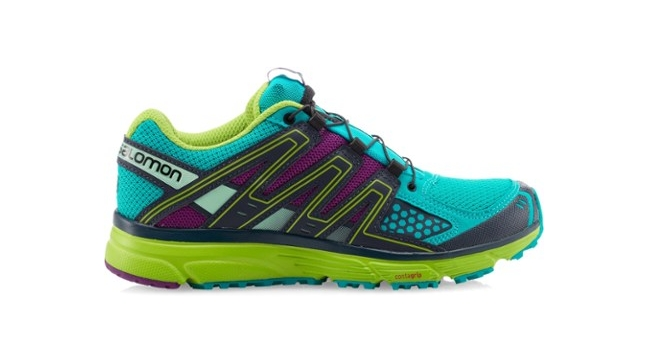 Description: The Salomon X Mission 3 Trail-Running shoe can be worn in both urban and trail terrain. The breathable shoe performs well on a variety of terrain and really delivers on the comfort scale. Circumstances of Review: After using the Salomon X-Ultra Mid II GTX Hiking Boot, I switched over to the Salomon X-Mission Trail-Running Shoe. I purchased mine on Amazon for $60 after my shoes fell apart and was pretty pumped about the bargain (shout out to Amazon Prime for 2 day delivery). Comparatively, the Salomon X-Mission Trail-Running shoe was lighter and more breathable than the Salomon X-Ultra Mid boot. I had moments where I missed the mud guard or gore-tex fabric but these may be my favorite trail runner I’ve tried to date. 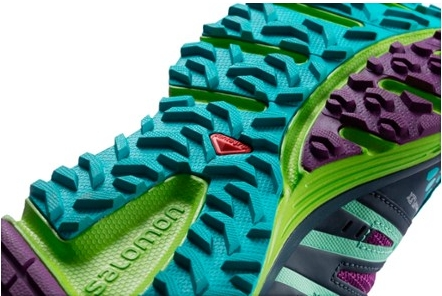 Light yet Durable Grip: I’ve used the the Salomon X-Mission 3 Trail-Running shoe both on and off the trail. Comparatively, it’s a lightweight shoe that has durable Contra grip outer soles. 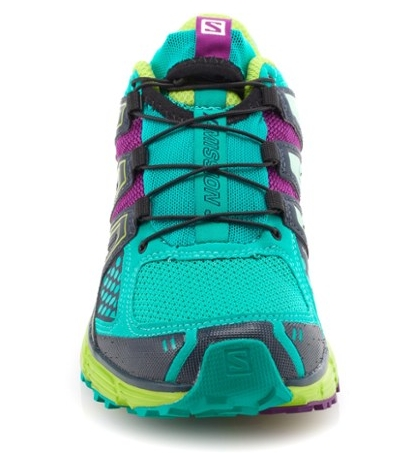 At 1 lb 2 oz, the Salomon X-Mission 3 Trail-Running Shoe felt like a running shoe but had the traction of a trail runner. Breathable: Additionally, this shoe is incredibly breathable. As a result, I didn’t experience any blisters, which is a miracle for my feet. Previously, I wore the Salomon X-Ultra Mid II GTX Hiking Boot and the Gore-Tex fabric made me feet sweat, aka blisters. The breathability made the shoe feel like a sneaker than than gore-tex trail runners or hiking boots. Because, breathable and waterproof is an oxymoron. SensiFit with Quick lace design: The shoe features SensiFit and a quick lace design. The quick lace design is awesome, you don’t have to tie your shoes! This is a bungee that can be adjusted, and the pulley can be tucked in the slot on the top of the shoe’s tongue. Further, the quick lace design and SensiFit helped alleviate some foot pain I experienced. In general, I prefer a securely fit shoe but was tying them too tight. The quick lace and SensiFit fixed this issue and I found it was more comfortable than traditional lacing systems. 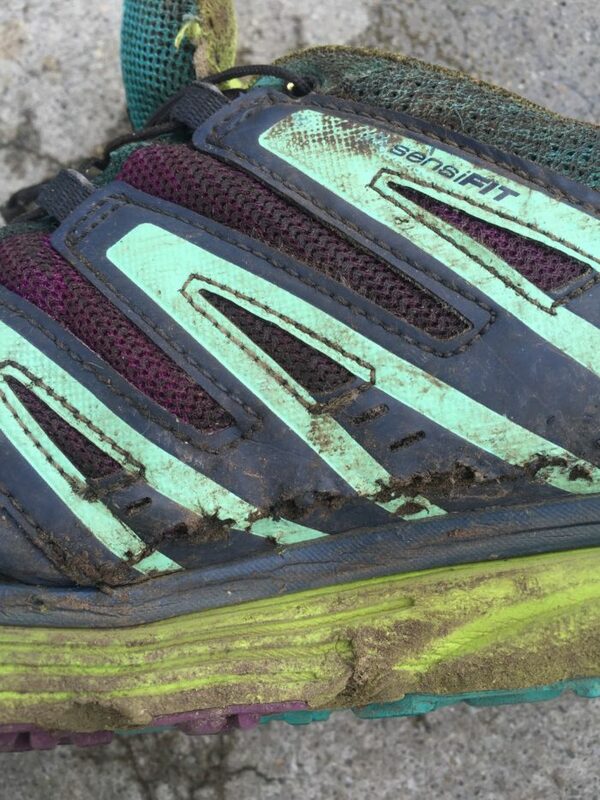 Not Waterproof: As I mentioned above, the Salomon X-Mission 3 Trial-Running shoes are breathable, which means in this case that they are not waterproof. This was not a deal breaker for me, and I hiked in days of rain in these. Yes, my shoes and feet were wet but it was better than hiking in heavy boots. Also, Gore-Tex makes my feet sweat so I didn’t mind the breathable, not-waterproof fabric. I went through a pair of the Salomon X-Mission 3 Trail-Running shoes in under 20 days in Pennsylvania. The rocks destroyed them. I liked these trail runners so much that I purchased another pair. Sadly, these lasted only 300 miles. However, I paid $60 for these shoes on Amazon rather than the MSRP $115. I recommend buying whatever color is on sale… it’s going to get dirty anyways. The photo below shows the wear after two weeks. These guys made my feet feel light as a feather. Honestly, I could not believe the difference of 8 oz in my shoe wear made for my feet. Hiking felt like running and I was loving my Salomon X-Mission 3 Trail-Running shoes. For the Appalachian Trail, I highly recommend trying trial runners over boots. However, I certainly pushed the design of the shoe in certain terrains like Pennsylvania and New Hampshire. 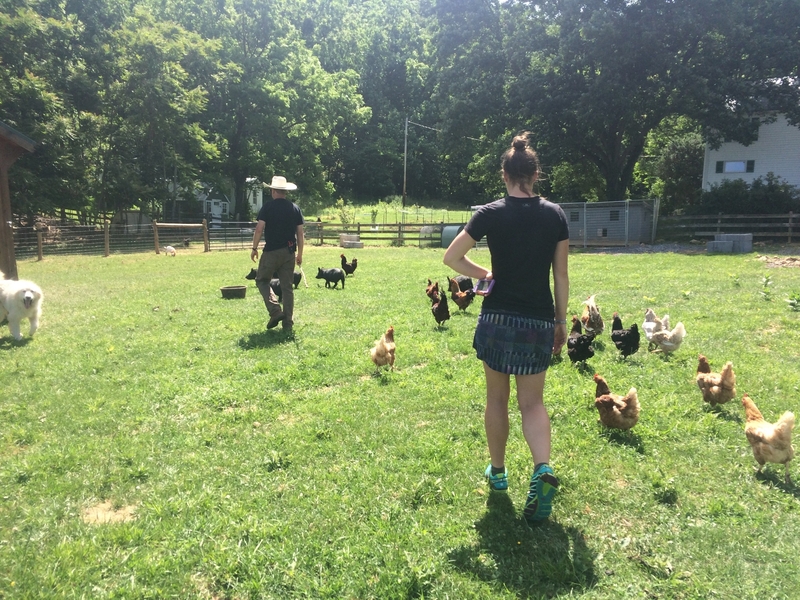 Overall, I continue to wear these shoes off the trail, a new pair of course. For backpacking, running and urban adventures the Salomon X-Mission 3 Trail-Running Shoe are my go-to kicks.